This application is a demonstration of what virtual exhibits in a museum could be like. This experience is very simple in scope, relatively short, but looks great! See for yourself in my video below. I apologize if my head movement is a bit harsh at moments... I have been out of practice making these videos. After a short splash screen, what appears to be a doorway of sorts appears. 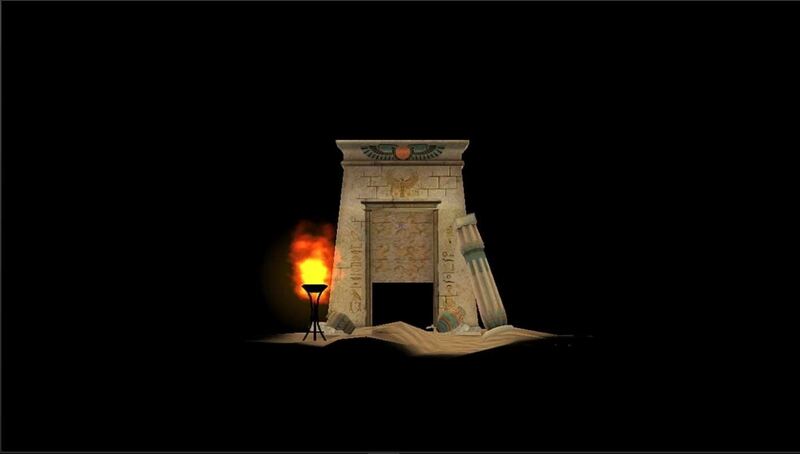 After a quick air tap, the doorway transitions into a tomb of Anubis, and a narration begins telling information about the old Egyptian god. It was nice to see the ancient architecture sitting in my living room. Great-looking 3D modeling and use of particle systems. Taught me things I did not know. Using voice synthesis for voiceover work never sounds right. There should have been a bit more interaction. We will continue seeing these demonstration programs for some time as developers continue to solve the various problems that arise from this new technology. And often these demonstrations are from developers looking to find better funding for their projects. I would argue that we need to put a bit more time into these type of experiences. We need to add more interactivity to interest people. We need to give the user a bit more to chew on, and that will contribute substantially to getting stable funding for our projects and blowing the minds of consumer users. Because in the end, let's face it—if we want this platform that we are working so hard on to succeed in the public space, we are going to have to be blowing minds. What did you think of the experience? Did I move my head too fast? Let me know in the comments below, but please don't beat me up if I did. Thanks. You could have smoothed the head motion a bit but it didn't really distract too much. That's a consequence of this new freedom of movement paradigm. The robo-voice takes away from the immersion but it works good enough as an early peak at what will come. I wish I had this in school I might have enjoyed homework.